I recently came across a rather…how shall I say it, um…interesting article regarding paralegals and technology. And when I say interesting, it was a slanted piece authored by an attorney in North Carolina; one who has apparently carved out a blogging niche by making it his words on a screen mission to take a shot at paralegals. The title of this captivating online missive (captivating like you can’t believe you’re actually reading these words on a screen written by an alleged colleague and not someone holding himself out to be the omnipotent predictor of the damned) was “Your Paralegals Are an Embarrassment.” The gist of it was that robots and technology will undoubtedly take over our jobs, attorneys who have a lot of paralegals should be embarrassed, and if you work as a paralegal—you’re doomed. 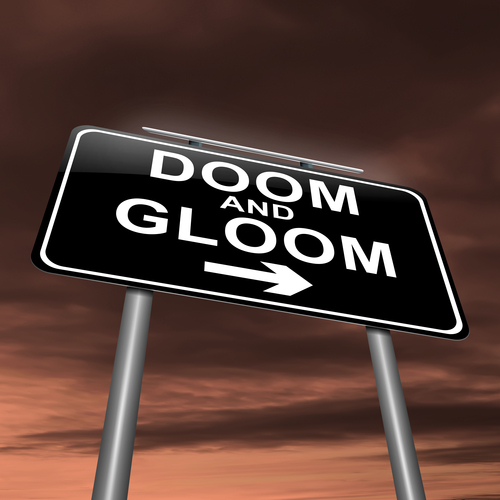 Some of you may have already read this gripping post which promises the death of your career. One paralegal sent me a link; another shared snippets of ethical material from North Carolina regarding attorney conduct; and one told me not to take the bait. But today’s post is not so much directed at the writer of the post promising the total annihilation of the paralegal field and all of the useless “future Uber drivers” working within it (his words, not mine). Rather, a certain blogging someone was driven out of the darkness to write, since she works as a paralegal and is not currently making swift preparations to sell her home on a short sale to move into a cardboard box, subsist on a diet of Saltine crackers, while begging technologically-superior-esquired-passersby for a nickel. So to those newbies getting ready to fill out those “drop” slips for your paralegal programs or clamoring to Uber to fill out applications—stand down. I repeat: stand down. If you haven’t already read the aforementioned Proclamation of Doom (my words, not his), I highly recommend you do so. And to Mr. Rosen: (1) You’re welcome for the scorned paralegal traffic—I know you really wanted it. ; and (2) As a writer, I can actually appreciate your willingness to draw a hard line and take a stand on a particular topic, even if I don’t agree with you, and even if it is at the expense of my entire profession. Your desire to spark interest and create controversy by taking 2,496 steps outside the traditional lawyer’s box is not entirely lost on me. You do make some salient points regarding technology, the underutilization of resources, old school mind-sets, and inner-office workings. But the rest is exactly what it was intended to be: a fervent effort to paint a small sampling of highly-tech savvy attorneys (the exception to the rule) with a condescendingly broad brush across the Internet to further the position that you are technologically superior to all other human beings, especially other attorneys, and paralegals live beneath one’s shoe. No, a robot is not going to take over your job—at least not entirely. Yes, times have changed. They will continue to. Let’s be real—these days you can rent a car off of the side of the road at a convenience kiosk. You can pay for that public parking spot curbside by swiping your charge card. You needn’t walk too far in public (say, 3 steps) to observe nearly every passerby’s eyes diverted downward, glazed over, peering at various i-screens to read the message of the moment, not the hour. There are apps galore for cell phones now in the form of watches. You can visit Google from your television set. And with a shift in new technology, certain aspects of legal jobs have gradually begun to die out, with new trends replacing them. I’ve seen dictation and transcription take a hard right along the ditch of the damned. (Can’t say I’ll miss it.) The duties of legal secretaries have morphed more into that of paralegals. And one needn’t look too far in the land of legal to hear terms like “litigation support” and “e-Discovery.” In certain parts of the country, freelance paralegals are all the rage. Paralegal certification is becoming more prominent with many turning a focused eye upon the potential regulation of the profession. Have things changed? Absolutely. Will they continue to? You better believe it. The roles of paralegals will continue to evolve based upon firms’ and societal needs, more advanced skillsets and education, occupational trends, and yes, with the rise of technology and its continued immersion in our daily work lives. We will be doing far more with less. Ahem, this is where the list would be if any paralegal on the planet would actually miss those menial tasks. Note: This is a complete list and there is no one on it. The day the robot can actually field phone calls like a living, breathing, caring human being, act as a liaison to clients, work on trial strategy, prepare clients for depositions and trial, make clients over for trial purposes which includes a hell of a lot of shopping, read an esquire’s mind, find inconsistencies in case-related matters, make the attorney look damn good, and fetch all those missing files/documents, along with my sanity—do send it immediately. I’m all in. I will seriously begin to contemplate my severance package and cabana rental at that time. Lastly, at Mr. Rosen, I’d love to interview a few of your former and/or current paralegals. I mean, in the event you actually have one or two. Yes, you can even pick them. They may have some really nice things to say about you. It’s entirely possible. In the event you’re down, I’m pretty sure you know where to find me. And if you should ever feel inclined to give to charity, I’m pretty sure I can arrange your presence in a dunk tank at a paralegal event anywhere in the country. Share buttons are conveniently located below this post, paralegals. You know what to do! Great rebuttal, Jamie, to an individual who has it coming. That individual’s bio reveals he is a pilot. As a former flight instructor I’m sorry to hear that. I would have hated having him as a student – because, I’m sure, he would have been one of those know-it-alls who resists authority figures, looks down on flight instructors and believes them to be useless – just as he does paralegals. Never heard of attorneys preparing certified mail receipts – because that, among other things, is what paralegals (and legal secretaries and legal assistants) are for. And paralegals et al gladly prepare them. I believe it is entirely possible that Mr. Rosen, due to his negative attitudes towards paralegals, may have created his own problem which led to his realization that he doesn’t need paralegals. Employers/supervisors/managers often shape their employees into the kind of subordinate they deserve. If you treat your paralegals with respect, they will likely do amazing things to make their attorneys look great. But when you abuse and degrade your employees/paralegals, you inspire a different side of the paralegal that will not make them want to help you in any regard. That fax… well maybe the fax machine isn’t working so well today. Your letters will be typed EXACTLY how you dictated them, flaws and all. And that coffee won’t be so fresh and warm. I have a feeling Mr. Rosen created the kind of paralegal he deserved and they probably weren’t all that great to him. Gee… I wonder why… what with that snarkling personality of his and all. Jamie, I love this!!! Thank you so much. I am loving reading your blog. Our paralegal association marks its 30th birthday this month. On that note, I am looking for articles for the issue of our newsletter this month. May I share your blog in our newsletter? Jamie – well done! I am glad that you are back and in a full swing! We missed you! Just one of many interesting comments in the article. Many corporate clients have practices on paralegal utilization and an attorney’s time entry for client communication would be reduced to the paralegal’s rate or removed from the payment should that appear on the bill. Same goes for preparing certain documents for trial, medical record summaries, deposition digests/annotations; page/line designations; depo cuts for trial, establishment of e-discovery protocols and practices. The list goes on….. The clients no longer want to pay the $300+/hr for redundancy. I’m really glad I have a knack for technology and can master its use because I wouldn’t make a good Uber driver. I have two predictions. Mr. Rosen will never be the new Ralph Lousey and going forward, Mr. Rosen will have a difficult time hiring a paralegal. Paralegals should be essential to any well-functioning law office. A paralegal can perform duties cheaper than an associate or a partner. It would be a shame if a law office didn’t have a paralegal, or worse yet, under-utilize their current paralegal. Thank you Jamie for speaking up for all of us paralegals! Jaime-thank you for standing up for us. This Rosen has more rebuttals to come. I loved your article, Jamie. I’m just sorry that we are all feeding Mr. Rosen’s self-proclaimed desire to be an attention whore. He truly does not deserve our attention. Well that was interesting… I wish I could say that I could not believe someone would feel this way about the paralegal profession, but it does not surprise me Rosen feels this way. I have met my fair share of lawyers who feel we paralegals are obsolete, and I think that they just do not know how to utilize us properly. I enjoyed your post Jamie, you hit the truth right on the head. I looked at the Rosen website and it does not say that he has any paralegals BUT he has “client liaison” folks and one member who’s job title is conveniently missing. Oh and to top it off, one of his “client liaison” members is going to school to be a paralegal. I do find that to be QUITE interesting. I wonder if he’s told her she is wasting her time because paralegals are DOOMED! You and I must work in parallel worlds. I’ve managed a boutique firm for 30+ years, and yes, I am a paralegal. I am the reason our technology is cutting edge, and have never met an attorney who was gung ho to bring in a new technological advancement. Even in a firm of our size, we have our ish together and don’t wast a lot of human effort on tasks that can be streamlined by technology, which is why we can handle the caseload we have. In addition to having procured 90% of the software/systems/technology you address at the beginning of your post, I manage and run most of it. I have also hired smart, as the paralegal who initially fleshed out our current staff of four, was also a skilled web marketer and website designer, because we’d just re-opened a new iteration of the firm in a new location and needed to re-establish our brand. I write our law blogs, most of our discovery, and do a great deal of our research. When Paralegal #1 moved to Boston for family reasons, I hired Paralegal #2 to flesh out our writing and research needs, as our web presence is stable. (Paralegal #1 will still remotely help with our online presence growth & maintenance = best of both worlds) In a small firm, hiring is, or should be, about the skill set matchup and time management/efficiency. We’ve got all that covered nicely. Would I replace a paralegal with a young attorney? Sure, if he or she had the skill set and was affordable, but in California, the likelihood of that is slim. New attorneys don’t yet know how to do anything, and a paralegal with 5-10 years of experience will be able to add much more to the workflow/quality than a kid right out of law school. (That said, I’d hire the kid if we had the time to mentor him/her and they had the raw ability needed, because mentoring young people is the best way to groom them to be stellar employees and valuable assets to the team). I imagine your post addresses the atmosphere/practices found in larger firms, but there’s a lot more wrong with the culture there than a “headcount mentality” – clearly they aren’t using people properly. If people are treated well and engaged in the daily think tank that is (or should be) the practice of law, they will go to the mat for you without one’s having to crush them under the boots of destructive management. I’ve never looked at labels. I look at who can add to the quality of the work we are charged with, and give our clients the best result possible. Your world is a sad, hot mess. Sorry about that. It makes me a little sad that anyone has to be in an environment that doesn’t make them feel appreciated and valued. So it is safe to assume we agree. Perhaps this is a sincere opinion. It is also consistent with a controversial post meant to draw a great deal of attention, response, and large number of inbound links as part of an overall search engine optimization strategy. Unsurprisingly, many of his previous posts have to do with SEO. On the contrary, we have been placing paralegals all over the US since last 15 years and, the trend is quite opposite to the view portrayed. The demand for paralegals is on the rise… it’s increasing at a rate of 7-8% per annum and firms are on the lookout for best-fit paralegals regularly. From time to time, we represent various firms who are on the lookout for good paralegal talent for litigation, immigration, real estate, intellectual property etc. For the convenience of your readers who would like more details on how they can use us to get a chance to work with these firms, kindly visit our paralegal recruiters page and post an updated resume so that we can help them find a suitable job. Not that this purported demand has any relevance whatsoever to this discussion, of course as a third-party recruiter you would be expected to say that demand for paralegals is on the rise. Now if what you represent were true, please account for the fact that so many out of work experienced paralegals cannot become reemployed, not to mention newly graduated paralegals who cannot even get their foot in the door.